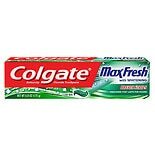 Colgate MaxFresh Knockout Too...6 oz. 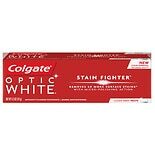 Colgate Total Toothpaste Whit...4.8 oz. 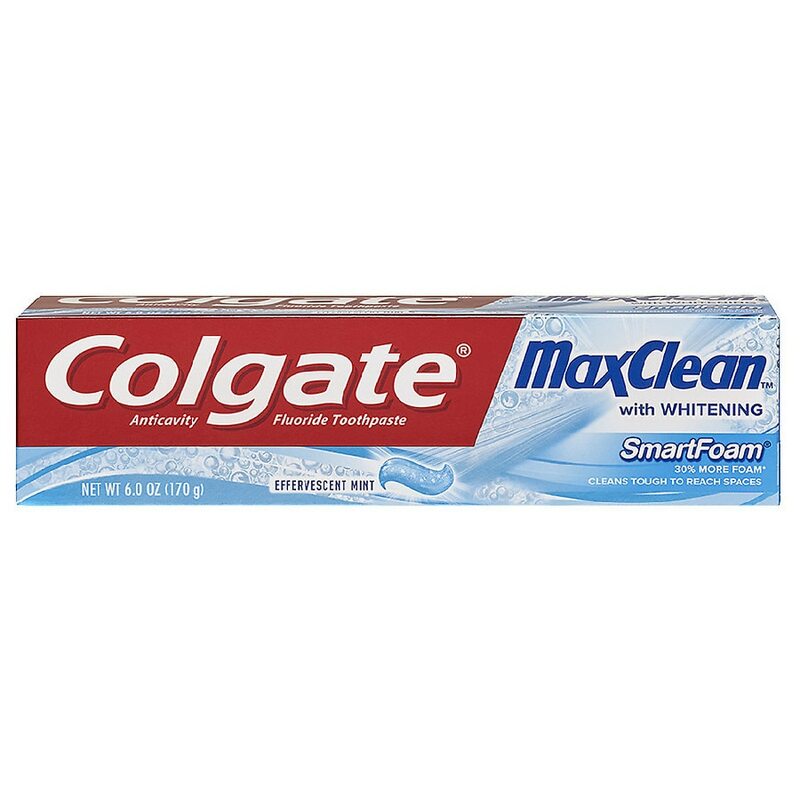 Colgate Total Toothpaste Clea...4.8 oz. 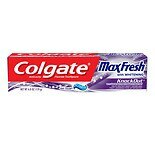 Colgate Total Toothpaste Adva...3.4 oz. Listerine Cool Mint Antisepti...50.7 oz. Colgate Baking Soda and Perox...6 oz. 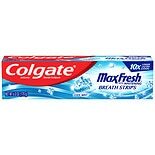 Colgate Max Clean Whitening Foaming Toothpaste, with a great Effervescent Mint flavor, fights cavities, whitens teeth, freshens breath and cleans tough to reach spaces. Rush of Clean! Bursts into foam as you brush to clean between teeth and around gums - helping to remove germs that cause bad breath, even in hard to reach places. The result...An incredible rush of clean! Colgate MaxClean SmartFoam is designed with a special formula that foams 30% more as you brush (vs. a leading fluoride toothpaste). It gets in between teeth and around gums, helping to remove bad-breath germs even in tough to reach spaces. Colgate Max Clean with Whitening Foaming Toothpaste also fights cavities while the Effervescent Mint flavor helps freshen your breath.